Hey y’all! 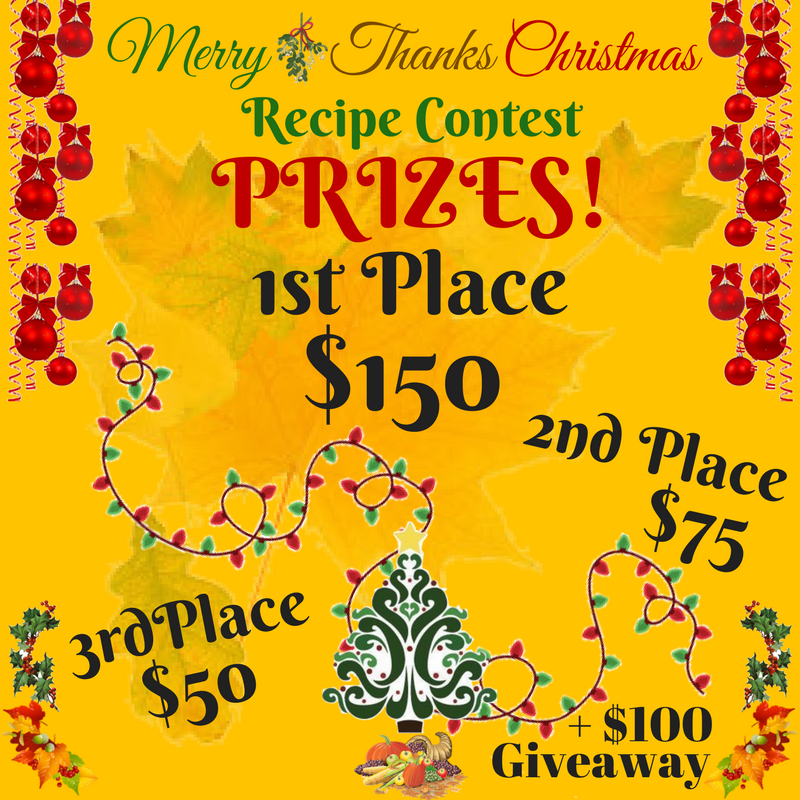 I’m super excited because today is the start of the Merry ThanksChristmas Recipe Contest! 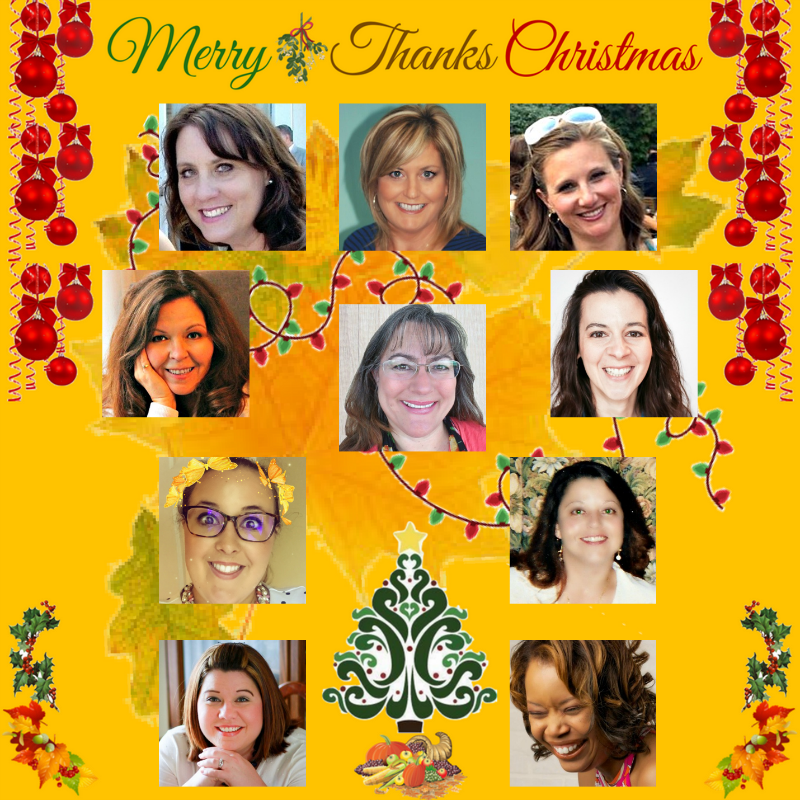 I’ve partnered with some of my blogging friends for this contest and giveaway. If you love to cook as much as I do, it’s a wonderful time to share those recipes and show off your skills! There are many categories to enter so don’t feel as if you have to choose just one! Each category has its own link up so click on the link for each category to linkup and enter your recipe. You MUST be a blogger to enter the contest. Not a blogger? Don’t have a recipe? No worries! We’ve also got a GIVEAWAY! Scroll to the bottom of this post to enter the giveaway. I don’t know about you, but with the holidays around the corner, I’ll be hosting a Christmas party. One of my favorite quick and easy appetizers is Tomato, Basil, and Mozzarella Crostinis. You can get the recipe for these appetizers here. I’m not one of those cooks who want to spend the entire time in the kitchen while my guests are having fun. I want to be right there alongside them and this recipe is so quick, it’ll allow you to do just that! Enter your name and email address below and you can start downloading! These crostini’s look amazing. My three sons are all grown up and of course their wives families want them as well for the holidays. So now instead of hosting a Christmas dinner, we have a very large Christmas eve party with all the different appetizers I can think of. This is perfect because it is make ahead. Love it. 3 of my favorite things, tomato, basil, and mozzarella on top of my 4th favorite thing…bread! This is perfectly delicious looking and a really great appetizer! I am always look for quick and easy appetizers this time of year. These look like they’d disappear fast. Have a ton of bloggers already posted and everything looks wonderful. Good luck to everyone. Will be difficult to choose. Yes, it will be Candy! Ye, it’s been pretty amazing Jenna. Oh man! I gotta go through my recipes and make some submissions – I LOVE this! Oh yes! Please do, Felicia! Can’t wait to see what you submit.